Medical analytics, or Clinical Business Intelligence, is breaking vital new ground in a sector where the slightest mistake or inaccuracy can have dire consequences. 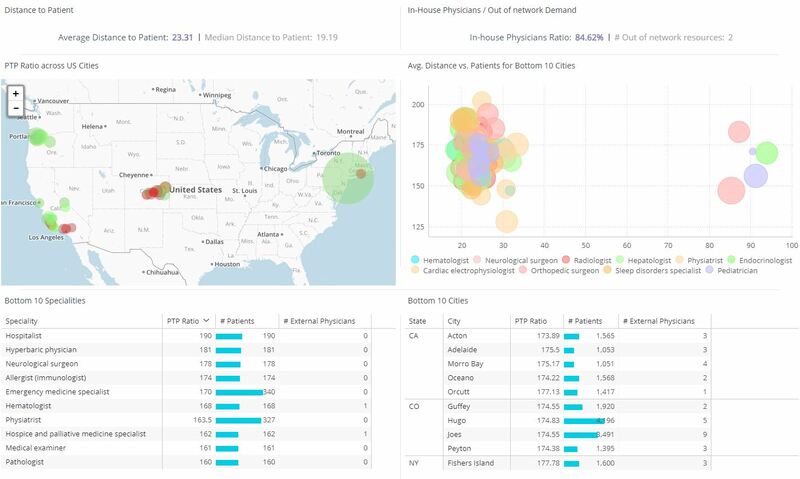 Both practising physicians and researchers running clinical trials are increasingly able to use BI tools to analyze huge data sets at speed, drawing out patterns and trends that tell them at glance what’s working, what’s not, and how patients are responding to the medicines or treatments they’ve been given. This kind of insight is invaluable: it highlights issues like adverse reactions or medical failures quickly, allowing medical personnel to diagnose problems and halt or alter procedures before the problem escalates. It allows clinicians, lab technicians and others to spot precisely where problems or delays form in their workflow or interactions with patients, helping them to design better processes that improve standards of care and ultimately save lives. Meanwhile, real-time BI in clinical trials can help researchers to judge the effectiveness of a drug, or problems in the design of the trial, and adapt accordingly during the same cycle - rather than analyzing results retrospectively and tweaking their methods for the next trial. This has the potential to cut R&D costs dramatically, and allowing pharmaceutical companies to pass these savings on to patients. (Learn more about pharmaceutical analytics here). Whether gathered from working clinics or from clinical trials, data relating to patient care and outcomes can be extraordinarily complex and hard to process or anaylze. Standardizing the way information is recorded, storing it securely, updating BI tools with fresh data quickly and regularly, combining data sources to create large enough datasets for meaningful analysis, getting the technology (including hardware) in place that can cope with these huge pools of data, identifying anomalies, drawing out actionable insights rapidly enough to improve performance and manage problems before they escalate… these are just some of the many serious challenges faced by clinical analysts. Fortunately, however, the right BI solution will minimize these headaches and facilitate meaningful results, fast. Clinical Analysts need to pin down a BI platform that, first of all, can synthesize disparate data sources and refresh this daily, automatically ironing out inconsistencies in the way this information is recorded. In other words, you need a platform that turns your web of conflicting data sources into a single version of truth, and which allows you to query this data as a unified pool. Next, you need to be able to query and manipulate this data yourself to get the information you need. Relying on IT departments to run queries of build dashboards can take weeks, by which point the insights could be stale, problems already spiralled, or your needs may have changed. Equally important, you need to make sure that you can drill down to the underlying data beyond the headline stats and dashboards, allowing you to figure out precisely what has happened and how these figures have been calculated. And lastly, of course, you need to be confident that your chosen BI platform will keep sensitive patient data safe. Sisense has developed a unique way to handle sprawling data sets fast, without requiring expensive hardware or additional data warehousing. This makes the system infinitely scalable and flexible, without reducing the level of detail you can extract from the data. This data can be refreshed as quickly as needed and is harmonized automatically, meaning you’re always working with the most up-to-date information. What’s more, the Elasticube innovation allows non-IT users to structure, build and adapt their own dashboards, reports and scorecards directly. As well as reducing the time it takes to generate meaningful insights from weeks to days, this also gives clinical analysts total control over how they use the data, and what they discover – again, while preserving granularity. Finally, our security is top notch. We already work with many leading healthcare data analytics organizations around the world, so we understand what you need to keep your data safe, and how to provide it.